WestHost Review: Is This One-Stop Shop Right for Your Business? Need web hosting that’s super easy to understand? Do you also need a website, SEO help, email, or an e-commerce store? Read our expert’s review of WestHost to find out if this “one-stop shop” is right for you. Paul has worked as a journalist, PR consultant, reporter, and teacher, and now works as a freelance web content writer specialising in business and technology blogging. He works with UK technical content specialists Red Robot Media, and writes regularly for CommsTrader and Business2Community. How hard can launching a website for your small business be? Well, when most people try it for the first time, they tend to realize it’s trickier than they thought. 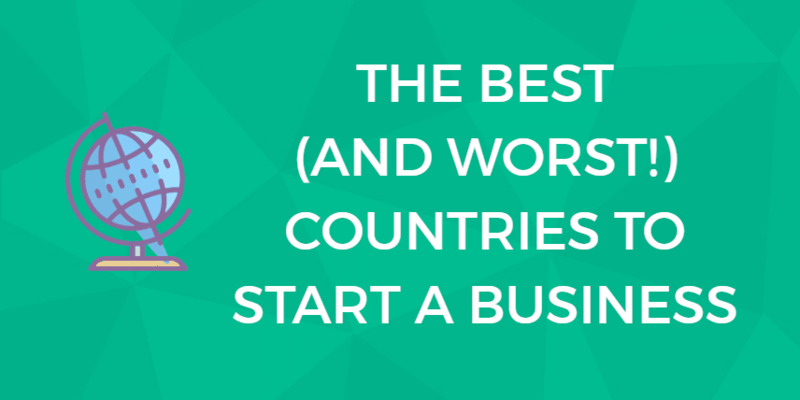 Finding a company to host your site is just the start of it. What about registering your company’s brand as a domain name? Or designing and building the site in the first place? And perhaps you need a business email service to go with it? And what happens as your site grows and you need more juice from your hosting service? If the thought of all that makes your head spin, you would probably appreciate a service where all of this can be taken care of in one place. A service just like WestHost. Personal customers form the core of its services, it offers much more. From registering a domain name to building a sophisticated e-commerce site, WestHost sees its role as helping customers turn their ideas into reality. With a wide range of flexible and affordable service plans, plus round-the-clock customer support, WestHost sets itself up to do everything it can to help its customers get their site off the ground and make it a success. What is “PRO” Hosting by WestHost? Does WestHost Have All the Features You Need to Sell Online? What Billing and Support Options are There? What Do I Need Technical Support For? Founded in 1998, WestHost is a veteran of the dot-com boom. Based in the American state of Utah, it has ridden the ups and downs of the internet revolution. Twenty years later it is still thriving as a leading global web services provider. WestHost has registered more than one million domain names. The WestHost homepage often features deals and discounts. In 2008, the company was bought by the UK2 Group, which operates a total of seven web hosting brands from bases in London, Utah and Lviv, Ukraine. WestHost is great at breaking things down so they are easy to understand. As its website explains, web hosting is how you get your site online so people can see it. A web host sells you space on a server, you upload your files to that server, and the server turns them into a website which people can access. Keeping things simple, and affordable is key to WestHost’s approach to hosting. It offers three main hosting services, all priced at around a few cups of Starbucks a month. These are shared hosting plans, which means you rent your own piece of a server giving you the bandwidth and file storage space you need for your site. With the most basic plan, you get hosting for a single website, with 50 GB disk space, 1000 GB bandwidth and one database. On the highest tier, you get unlimited websites, databases, bandwidth, and storage, with one free domain, one free IP address and one free SSL security certificate. Again, the freebies are only available if you pay annually. This covers everything you would need from a basic start-up site or blog all the way up to running multiple sites for different brands or services. As bandwidth governs how fast your visitors can access a page, the more stuff you have on your site, the more bandwidth you need to make everything run smoothly. This is especially true if you want to include content with big file sizes, like video. And, of course, you need the storage space to keep it. All WestHost plans come with free set up. WordPress may have started out as a blog publishing platform, but has grown to become the world’s content management system (CMS) of choice, powering roughly a quarter of all websites in existence. People use WordPress because it makes it simple to build, publish and manage a website, which fits in perfectly with the WestHost philosophy. WestHost offers two specialized WordPress hosting packages, which combine access to the WordPress builder and CMS with shared hosting. Compared to normal hosting packages, you get access to professional WordPress themes, backups included, email accounts, automatic malware removal, and free CloudFlare CDN to maximize your page loading speeds. Affordable and easy-to-understand WordPress hosting is on WestHost’s menu. WestHost positions itself as a hosting service which really wants to help its clients grow, from the smallest acorns into the biggest trees. Inevitably, there comes a point where a site outgrows shared hosting. “Unlimited” in shared hosting terms always carries the caveat that you are only renting a piece of a server, and when the disk space runs out, that is it. WestHost has you covered when you reach that stage. PRO hosting gives you what you need when you outgrow shared hosting. Its WestHost PRO solutions include virtual private servers (VPS), which uses virtualization technology to boost available resources, and dedicated server hosting, where you rent an entire server to yourself. Both are ideal solutions when your site portfolio has grown into a giant of the web forest, and your traffic volumes have turned from a stream into a raging torrent. On the WestHost PRO dedicated server plans, you can also opt for managed hosting, which means WestHost’s in-house team of experts will take of the technical side of tending to your blossoming web empire. If you’re a small business just starting out, you won’t likely need dedicated hosting just yet. As your site grows you may need increased bandwidth to handle large volumes of traffic. You can upgrade from shared to dedicated hosting at any time with WestHost. WestHost hosting plans typically have come with a control panel based on cPanel, an industry leading site management interface. CHI is the master dashboard from which you can connect with all your hosting services. Video above: Get a glimpse of the new control panel — called CHI — used by WestHost and UK2. This tutorial shows how to use CHI to execute some email functions. Softaculous is a popular tool, accessed from your control panel, that enables you to install hundreds of apps with just a click. The apps you can install include CMSs like Drupal, WordPress, and Joomla; playlists; database, e-commerce and customer support tools; marketing tools; ad management tools; wikis; forums; polls; and social media apps. In addition to the ones mentioned above, WestHost lets you enhance your website functions with other third-party applications. The control panel also includes a File Manager, which you use to upload files and add content to your site. It uses the File Transfer Protocol (FTP). If you are not familiar with FTP, there is a tutorial in the help section of the WestHost website. As an all-around web services provider, WestHost offers much more than just space on a server. The following services are all intended to help you create and run your site as successfully as possible. The WestHost “V8” site builder offers plenty of pre-built design templates that you can customize to make your own. The site builder is designed to be “technophobe friendly” – you don’t need to know anything about web design or programming to get started, you just need to be able to click and drag a mouse. The templates do all the hard work for you, and they are optimized to look and work great on every device, no matter the screen size. WestHost also offers the same click-and-drag site-building platform for building an online store. There are 3 plans, all are low cost. All packages provide inbuilt support for a card and PayPal payments, plus templates for simple product listings, starting at 10 for the smallest platforms, but scaling up to unlimited listings. While WestHost offers the basics to get your online store running, it’s lacking some of the more sophisticated marketing technology offered by other e-commerce platforms, including abandoned cart recovery. Though it’s noting that WestHost costs far less than a major e-commerce builder like Shopify. To enhance your e-commerce options, you can install the Magento shopping cart. To run online ad campaigns, for your store you can install Google Adwords. Managing the performance of your website is a case of focusing on the Three S’s – search, speed and security. WestHost has all of these covered, via three paid-for optional services. CloudFlare is a third-party service which uses its own global network of servers to improve site traffic speed and offer the best network security possible. Think of it as a super secure, super-fast delivery service for web pages. What Does It Do? Having a valid SSL certificate is essential now. It increases brand trust, not to mention overall security. Save space with CloudFlare’s image optimization, which shrinks images to size. Distributes your website’s traffic across multiple servers for less strain. With only 1 ms of latency, WAF provides extra security. Research continues to show that the speed with which your site loads is directly connected to your conversion rates. Slower sites will tend to see lower sales than speedier competitors. SiteLock is another third-party service which provides malware protection for your site, from straightforward site application and SQL injection scans, up to daily FTP scans and automatic malware removal. If you choose to create a new site with WestHost, you can also purchase your own domain name. WestHost has a long list of domain extensions available, including the newest release TLDs. Additionally, WestHost’s privacy service keeps your details off the public list. WestHost also provides a personal and business email hosting service, which means you can choose the name of your email account. For a business, branded email helps support overall marketing and customer service, keeping brand identity in front of mind and giving your communications a professional edge. All hosted email accounts come with address book and calendar, webmail and support for Android and iOS cell phones. WestHost offers to bill on a monthly, quarterly, annual, two-yearly and three-yearly basis. There are a variety of special offers and discounts available across many different products for longer billing terms, usually annual upwards. By default, billing is handled by credit card and renews automatically, although you can choose to be billed manually. All shared hosting plans come with a 30-day money-back guarantee from the moment you sign up, with no need to give a reason if you choose not to continue the service. WestHost provides round-the-clock customer and technical support 365 days a year, with its US-based agents available via phone, email and live chat. Account holders can also submit a ticket from the website. There are easy to navigate FAQs organized by product, plus a more in-depth knowledge base which can be searched to find answers to your queries. An online search reveals mixed reviews for WestHost’s customer service. While they do offer live chat, it can take some time to get a response from a customer representative when they experience a high volume of requests. To ensure you maintain a professional presence online, you need to resolve these problems as they arise. WestHost offers multiple options for resolving any questions or problems. Yes, WestHost offers a full refund if you cancel your account within 30 days. Before deciding on a web hosting company, it may be worthwhile to see how other hosting providers stack up. Like WestHost, Bluehost’s most basic plan comes with support for one website and a free domain. However, Bluehost adds a free SSL certificate and unmetered bandwidth. GoDaddy also offers unmetered bandwidth, a free domain, and enhanced 24/7 security. If you want to earn extra income, GoDaddy and Bluehost provide attractive reseller hosting packages too. The option to scale up to better resourced VPS and dedicated server hosting as your site grows. You pay a premium for short-term contracts and monthly billing. We’ve provided a lot of information about WestHost. But if you need more, click over to our sister site, WhoIsHostingThis.com. Once there, you’ll find another expert review, answers to frequently asked questions, and best of all: reviews from a couple dozen actual WestHost customers. They can help you understand what it is really like to host with them. You are here: Home > Web Hosting: Which Hosting Company Is Best For You & Your Website? > WestHost Review: Is This One-Stop Shop Right for Your Business? Our Verdict: Simple, cheap and convenient for startups.